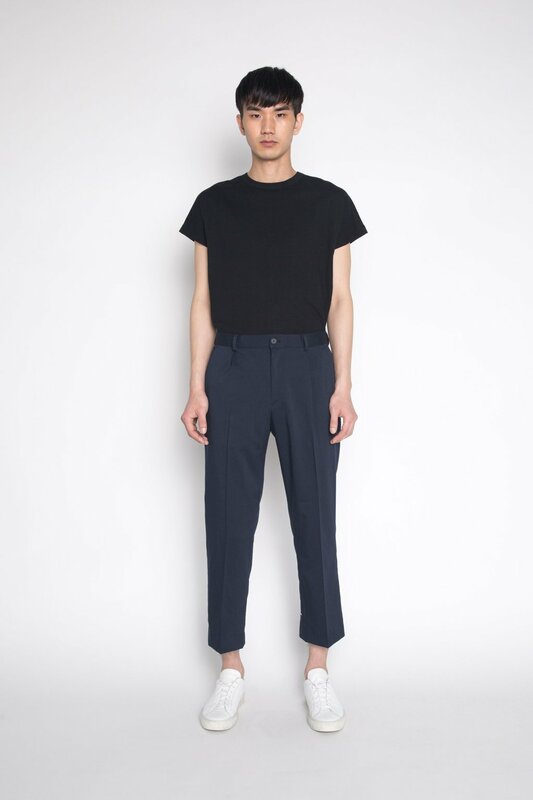 Crafted from a lightweight fabric, these cropped tapered trousers are ideal for the warmer weather. Classic in design, this pair will keep you looking refined while keeping you cool. 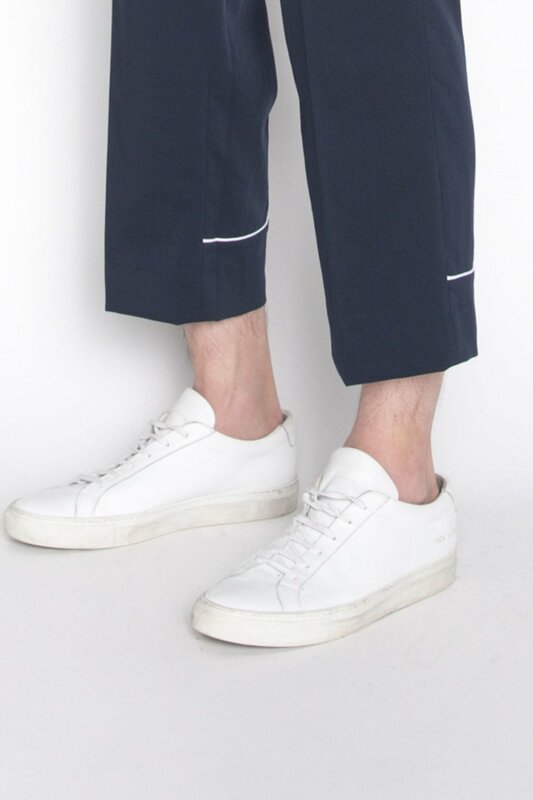 The horizontal white piping near the back bottom hems add extra detail. Pair with a t-shirt and sneakers for a effortless look.